Getting across the U.S.-Mexico Border “would be a lot harder if they build that wall,” a human smuggler said in a report. As President Trump’s administration has yet to begin construction of a border wall, a human smuggler interviewed in Arizona by USA Today said that a physical barrier would make it incredibly difficult for illegal aliens to get across. While Alexis’ fees would increase for smuggling due to a border wall, some would be put completely out of business. Vice President of National Border Patrol Council for the El Paso, Texas sector Stuart Harris told USA Today that Trump’s border wall should not be a controversy, as it would simply help U.S. Border Patrol agents secure the U.S.-Mexico Border. Department of Homeland Security Acting Secretary Elaine Duke does seem to be following through on Trump’s border wall promise. As Breitbart Texas reported, Duke most recently obtained land and environmental waivers in order to begin construction of border barriers in Calexico, California. 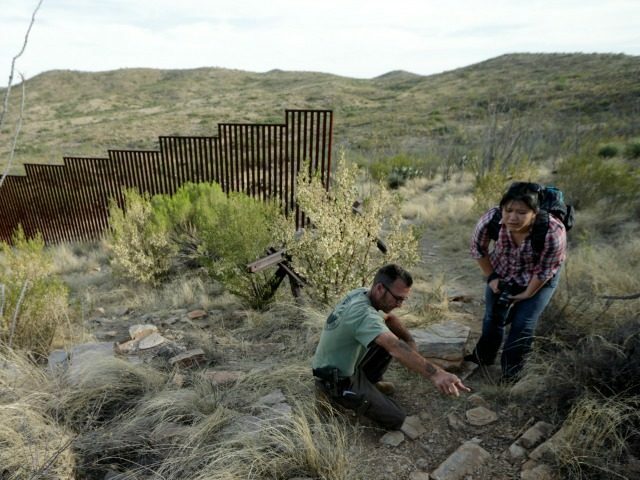 In an op-ed for USA Today, as Breitbart Texas reported, Duke explained how “border walls work,” citing the Yuma, Arizona, border sector where illegal immigration has dropped to a tenth compared to where it was in 2005. Duke additionally demanded funds for DHS from Congress to fully fund the construction of a wall.